Children go ‘Fizz Boom READ’ at Lawrence County Public Library! Children ‘dig into reading’ at Lawrence County Public Library! Give the Gift of Reading this Christmas! Share the Thrill. Return the Books! Overdue Books Amnesty at the Lawrence County Public Library. The LCPL & the Stitch-N-Time Made the News Again! 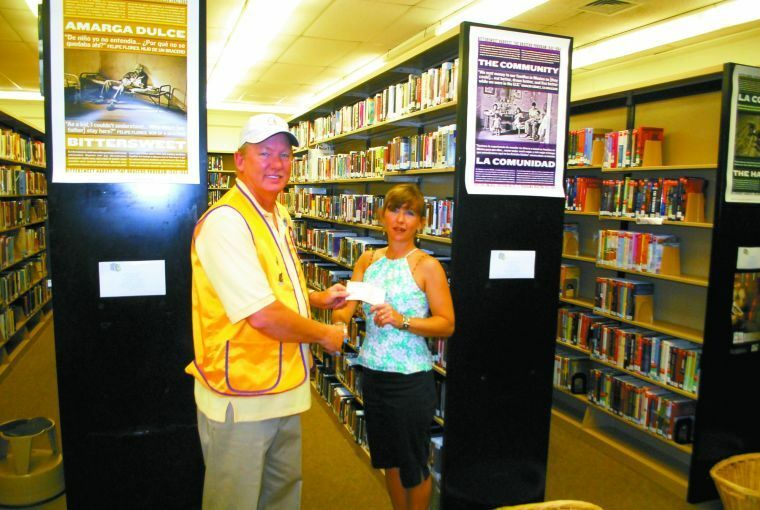 Keith Ligon, left, gives Lawrence County Library Director Regina Anderton a check for $500 to go towards new audio books in the library. Ligon said many fundraisers helped to pay for this donation, and he thanked everyone who was part of raising the money. The Lions Club meets every second and fourth Tuesday each month, and Ligon encourages anyone who would like to join to come by the next meeting, August 13.